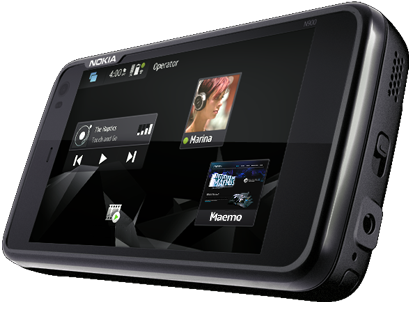 Experience the speed and raw power of the high-performance Nokia N900 mobile computer. Processing power – At the heart of this mobile computer is its powerful 600 MHz processor and up to 1GB of application memory. The superscalar ARM processor delivers exceptional power and enables you to run all your applications quickly, smoothly, and simultaneously. Large internal storage – The built-in 32 GB storage is big enough to store up to 7,000 of your favourite songs or 40 hours of DVD-quality video. And with an external microSD card you can expand the storage to up to 48 GB. Fast wireless broadband – For the first time get high-speed broadband that’s as fast as an internet connection at home. Enjoy rich interactive content across the web and view pages the way they should be seen with stunning full-screen browsing. Are you as excited about the Nokia N900 as I am? I wasn’t blown away by the hardware form factor, but the more I play with the device the more impressed I get. This is actually saying quite a bit considering the N900 firmware I am using is not the final shipping firmware either. I am pretty sure I will be ordering my own N900 before I have to send back this evaluation unit. Have you had a chance to peruse the Nokia N900 User Guide online? I see that the links to it are now dead, but you can find it here if you want it. I don’t usually read many of these guides, but I am finding some real treasures in there and plan to share them with you in case you want to skip reading the guide and just here about some of the great things I have found in there.